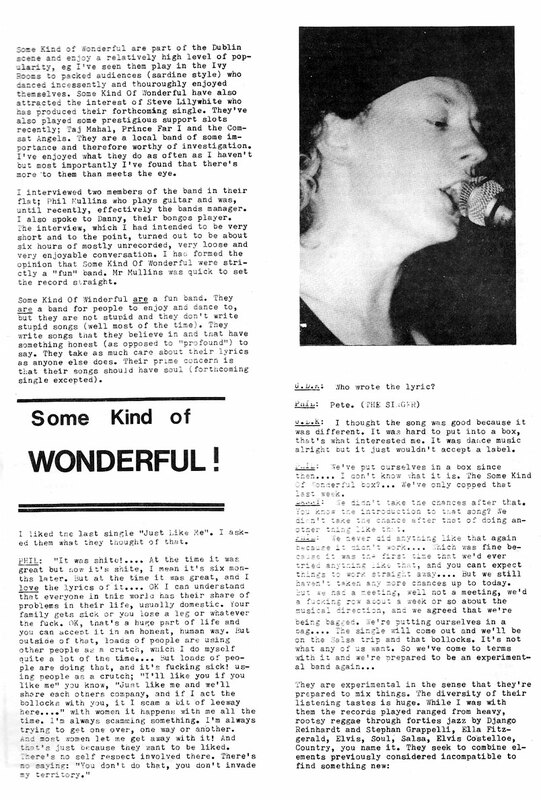 I’m guessing this Dublin 11 fanzine ‘ Pop Tones’ came out in 1982. This particular issue contained an interview with Some Kind of Wonderful who had Dundalk lads, Pete Deane, Philip “Turkey” Mullen and Tommy Gilsenan, as key members. That’s Pete singing and Turkey on guitar in the photo. Turkey had previously acted as manager for the Scheme. I’ve scanned in the full interview with them . 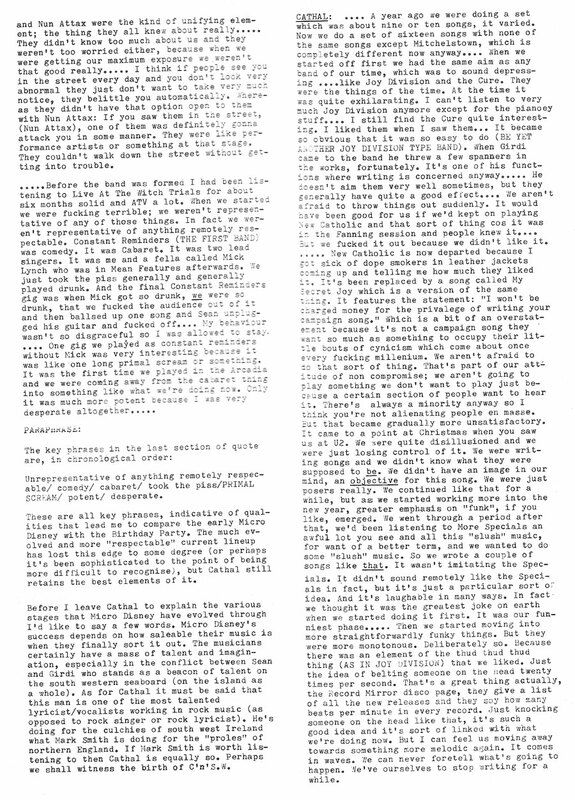 Click for Page 1 & Page 2. 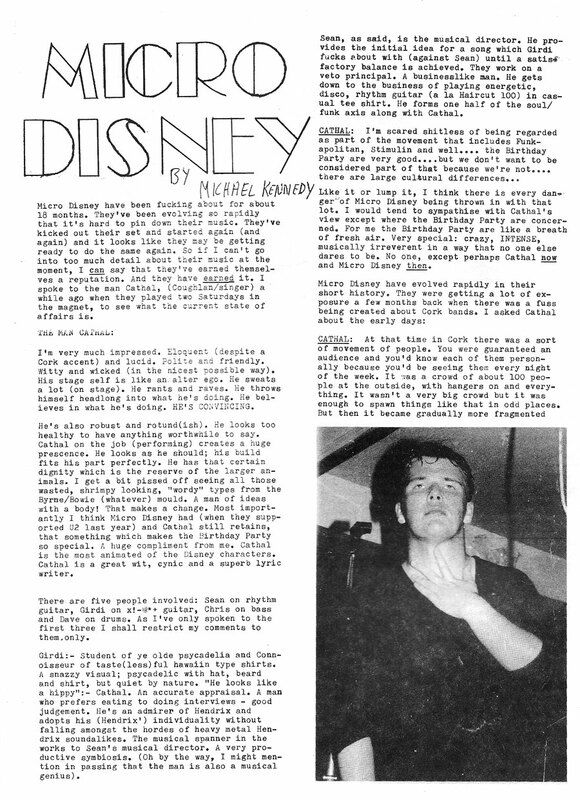 Also in this issue was an interview with Cork group Micro Disney. Really? Didn’t know. 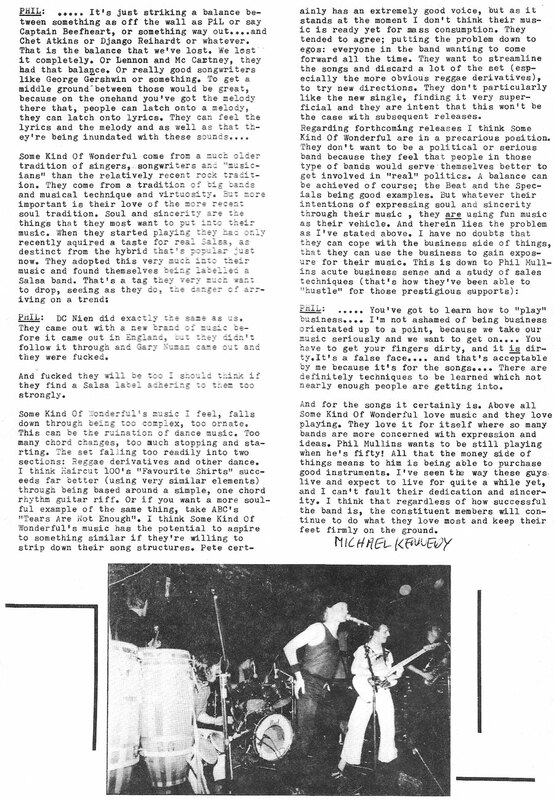 Micro D played the Ploughmans Inn in early 80s. All I remember was how disinterested they were about being there. Was just talking to Pete Deane, bumped into him outside my house! He hasn’t changed a bit. Last time we spoke was in 1982 when he and Phil Mullen stayed at my gaff in that London. He said SKOW were having a 30th reunion. Thirty years wow.